Case went to Lewis Clark to study International Affairs, while partner Joel Jennies brings years of experience in the medicinal cannabis field. Jason Caine, another partner, is a business professional also owning several convenience stores. What is the origin of your business... And, why Astoria? Case, Joe and Jason are all good friends with business minds. As the marijuana industry opened in Oregon, they recognized the potential growth of the cannabis market. Their niche is focused on high-graded craft product and a team well educated professionals. Their first store location was the fourth cannabis shop in Portland. After visiting Astoria for years they knew they loved it. 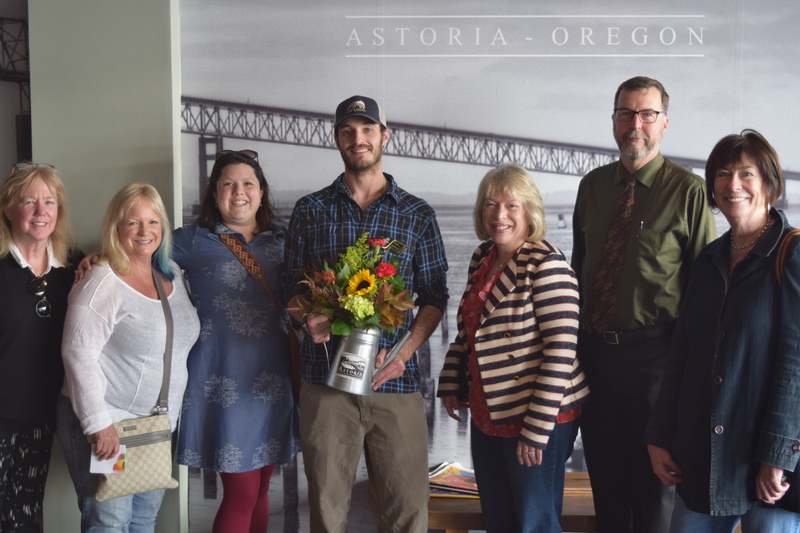 Witnessing the renaissance of the Astoria's downtown encouraged them to seize the opportunity to bring a high end cannabis store to Clatsop County. Their expansion plans include an eventual eight stores, including: Astoria, Portland, Cannon Beach, Corvallis, Oregon City, and Milwaukie. We see folks from all walks of life! From seniors to professionals and youth 21+. We understand the importance of a well-trained, educated staff, and we provide only quality product. Further we offer a craft product, working only with specific farmers who take care and pride in their product which is hand trimmed, no machinery. Five Zero Trees also designs stores to complement their community. Astoria is a very handsome store using only reclaimed Oregon wood and includes a front desk reclaimed from an Oregon saw mill. Encouraging an increasingly robust business district, while retaining our 'old Oregon' charm.